A smaller walker designed for the more petite adult. The four wheels provide both stability and manoeuvrability and allow the rollator to be used both indoors and outdoors. ​ A small bag under the seat allows for personal items to be safely and discreetly carried. 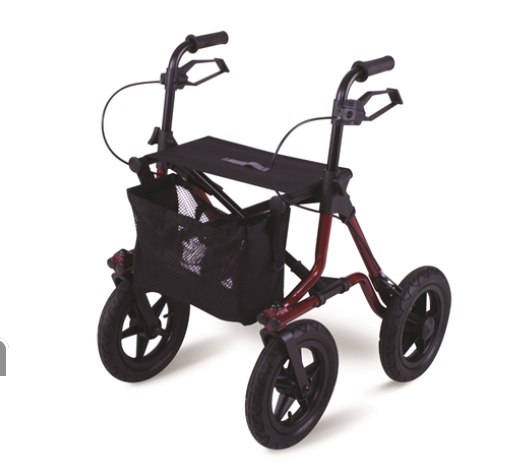 With a higher weight capacity than a regular rollator, these offer stability and mobility for the larger adult. The rustproof, robust aluminium frame is extremely durable and can be used by someone up to 225 kgs. The heavy duty castors can be used both indoors and outdoors. This lightweight collapsable aluminium rollator has four 7.5" castors. The front two castors swivel allowing for the rollator to be easily moved in any direction. The larger sized castors allow it to be used both indoors and outdoors. 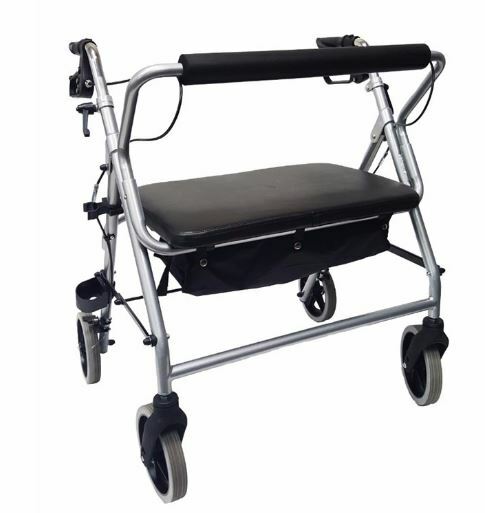 A steel framed, mobile, four wheeled, folding walker designed to support the user in an upright position. The walker features a seat and cable brakes. The gutter-style arm supports are height adjustable. Also known as a Forearm Rollator.